HARDIK Pandya produced a sensational late cameo of 37 not out off just 16 balls as he guided Mumbai Indians to a five-wicket win over Royal Challengers Bangalore in an IPL match in Mumbai on Monday (16). 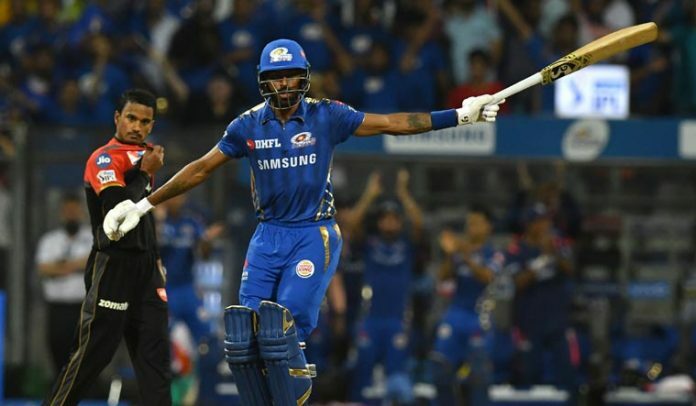 Mumbai needed 22 runs from the last two overs, but Hardik took just six balls to hit the required runs, smashing left-arm spinner Pawan Negi for two boundaries and as may sixes to end the run chase. He finished the game with a single off the last ball of the 19th over as Mumbai reached 172 for 5 in 19 overs. 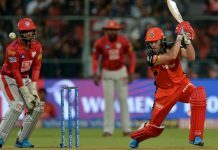 Mumbai were wallopping at 67 for no loss at the end of first powerplay overs but suddenly off-spinner Moeen Ali (2-28) brought RCB back into the match with a two-wicket burst in a single over. Ishan Kishan (21) came out and nonchalantly smashed two sixes off Negi before he fell to Yuzvendra Chahal (2-27), stumped by Parthiv Patel. Ali initially played second fiddle but later upped the ante. 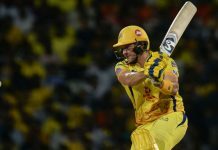 He was particularly severe on Australian pacer Jason Behrendoff (1-49), whom he hit for two sixes and a four in the 16th over, which fetched 17 runs for RCB. However, veteran Sri Lankan pacer Lasith Maliga (4-31) pegged the visiting side back by removing Ali and Marcus Stonis (0) in the 18th over and taking two wickets in the final over. De Villiers was run out in the final over off a brilliant throw from long-on. Previous articleRani Mukerji to turn to direction in 2020?